I teach English to adults in Spain. I enjoy using film clips, songs and realia in my classes. I´m new to the website but hope to exchange a lot of materials! 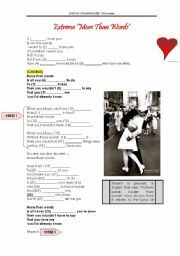 This is one of my favourite worksheets. 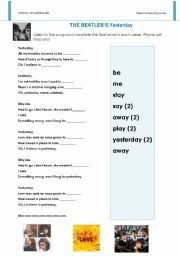 It contains a fill in the gaps activity to do while listening to the song and then it contains an idea for a debate/discussion about the song lyrics and how "Actions speak louder than words". 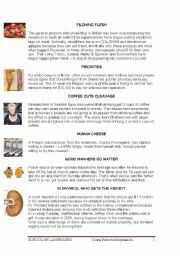 As a follow-up, it takes a look at IDIOMS in English. It contains the KEY. 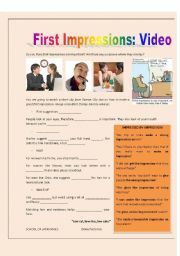 Short speaking activity (discussing cartoons, speaking about first impressions & their relevance) followed by a video-watching activity (link provided in the teacher notes -page2) where an image expert provides tips for putting your best foot forward. Suitable for intermediate-advanced students. 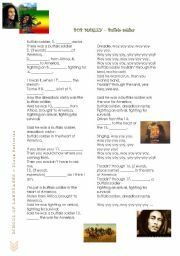 This worksheet takes a look at Bob Marley´s song and then it relates it to a text talking about the history of buffalo soldiers in the USA. 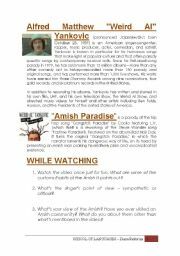 This is a song by Weird Al Yankovic, it´s a parody of "Gangsta´s Paradise" and it takes a look at the Amish way of life from a funny point of view. 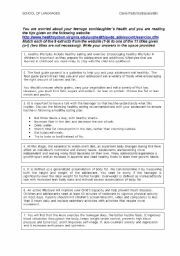 The worksheet starts off with a short bio, then some info about the song and then it moves on to an activity while listening to the song and a follow-up (debate). This is an activity for students of basic/pre-intermediate level. 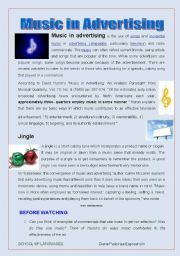 It takes a look at the song Yesterday and has students working with pronunciation (similar sounds, rhyming words) and then it takes a look at some song facts. 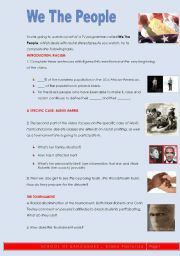 Here you have the powerpoint with the answers already (I have sent the Pwpt with the questions). You can just give students an answer sheet with the numbers or ask them to hold signs with the option they think is correct (I find the first option is better). This is a good quiz to start off the Academic year or to do something fun in class. We have used it as part of a Language Festival and students really liked it. I´ll be uploading another powerpoint with the answers. Enjoy!